Recently, the NY Post’s Josh Kosman reported that “Romney’s Bain Capital has plunged 2 toy retailers into bankruptcy”; he apparently missed a few other Toy company bankruptcies from Bain’s history. The first issue is Mitt Romney & Bain Capital entered into the Toy industry by Mattel investors who endured a $4 billion loss; which was followed up by bankruptcy after bankruptcy of toy companies - with questionable ethics. Earlier this year, our investigation revealed a big item missed by MSM (main stream media), during the 2012 POTUS race, about the fact Goldman Sachs aided Romney, Bain Cap & Thomas Lee who got involved with The Learning Company; which was merged with Mattel - resulting in near instant catastrophic losses close to $4 billion. This granted them excessive influence over the Toys Industry, as Bain Cap marched through bankruptcy case after case to finally get ownership of the big kahuna Toys R Us. According to The Telegraph’s Andrew Cave, The Learning Company merger with Mattel “was one of the worst corporate deals, of all time”. Learning Company began losing money as soon as it was acquired and the resulting 59pc slump in Mattel’s shares has wiped out $3.1 billion of market capitalisation. Yesterday, Robert Eckert, Mattel’s new chief executive, announced 350 job losses, a $250m restructuring charge and a dividend cut from 9 cents a quarter to 5 cents a year with the aim of saving $200m a year,” Cave wrote. 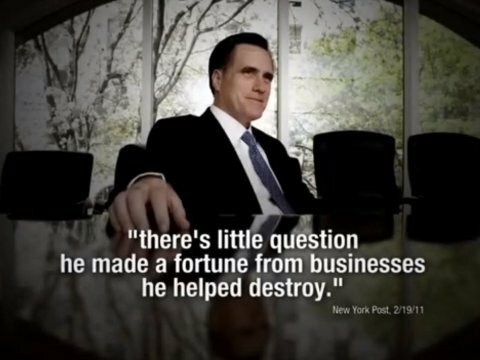 Even The Telegraph missed the facts that Mitt Romney, Bain Capital & Thomas Lee Partners were involved. Reportedly, Romney’s contingency received a whopping 12 million shares of Mattel stock, as part of the merger. Then, Bain Capital acquired Kay Bee Toys; which this followed up by an even stranger deal of Bain/KB Toys acquiring another toy company eToys during the first bankruptcy of eToys. A few years later, as reported by Rolling Stone’s September 2012 cover story (“Greed and Debt: The True Story About Mitt Romney and Bain Capital”) the story noted the fact, The Boston Globe detailed Romney’s Stage Stores formation was funded by Michael Milken’s junk bonds; and that a conflicted Judge Pollack presiding over Milken’s case allowed Romney to utilize the money despite the fact that the judge’s wife stood to make a profit from Stage Stores own dealings. Furthermore, Rolling Stone pointed out that Kay Bee CEO (Michael Glazer) paid himself an $18 million back pay, whilst paying Bain Capital $83 million – prior to Kay Bee’s 2004 bankruptcy. Meanwhile, Kay Bee filed bankruptcy, again, in 2008; and eToys was also in its 3rd bankruptcy, as part of a separate item of “The Parent Company” insolvency case (in 2008).The outrageous thing is, both Kay Bee & eToys wound back up, under Bain Capital – again; but this time as part of Toys R Us. Now they are all in bankruptcy, once more. Even stranger is the fact that those previous cases have questions about massive frauds being protected by willfully blind Federal Justice agencies and courts; which was pointed out by a whistleblower this reporter has come into contact with who has been fighting for justice. This whistleblower has been stonewalled by the DOJ and the media alike. Enigmatically, the same names of Romney’s associated parties, continued to prop up, in or around the previous cases, of Romney’s Bain Capital – Goldman Sachs, Paul Traub, Barry Gold, Michael Glazer, MNAT law firm, Colm Connolly and Mitt’s Sankaty; which were sued by the whistleblower Laser Haas, for bankruptcy fraud as well as racketeering, shortly after Romney lost the 2012 Presidential election. MoveOn.org also presented a case, to the System of Justice, concerning the fact Mitt Romney lied about when he left Bain Capital.Congress is on the public, precedential, and docket record, acknowledging the fact that “Bankruptcy Rings” exist, where lawyers act to the direct detriment of their clients, as debtor and creditor. In those previous cases, the whistleblower cried foul about the Bain Capital roaming parties fleecing hundreds of millions and billions from the bankruptcy estates, by veiled bribes labeled as bonuses. Now the United States Trustee is also crying foul about the Toys R Us bankruptcy case seeking to give tens of millions to Toys R Us executives, Business Insider reported. So the questions are, how do the parties continue to get away with destroying companies, stiffing creditors, retaliating against whistleblowers, but Bain Capital & Goldman Sachs keep all the gold? Why does the DOJ continue granting Christmas gifts to Mitt Romney’s Bankruptcy Ring gangs, of millions upon millions dollars and, apparently, never-ending “get out of jail free cards”? This is exactly why the phrase too big to fail and jail became popular and why the DOJ is now nicked named after Jesse Eisinger's book The Chickenshit Club because they refuse to prosecute Wall St. Eisinger documented a massive account of corporate greed and impunity and a revolving door within the Department Of Justice that protects itself from prosecution. To reiterate some previous thoughts to criminal investigators, this journalist wonders if anybody remembers what we use to call it when organized individuals achieved unjust enrichment through means of deception and at the expense of other people and what used to be the consequence? For now, ill let you ponder that thought as this is just the first of our Christmas series of financial misdeeds articles on Wall St. Check back next week for another explosive story where you will learn more about Paul Traub and other cases of financial maleficence on Wall St.
Is there anything on this planet that Golman Sachs hasn't raped and pillaged? Btw, isn't Romney supposed to be a Mormon? That dude needs to re-read his Book of Mormon. 2 of 5 bellyrub compensation votes delivered! Upvoted your comment so you can get at least .20 cents back in SBD and voted for your witness cheers man. Thanks again for doing this for everyone you are a saint. Crime Inc. is making a famous ripple here with this potent information, thanks a lot for sharing as this platform will keep it ad vitam eternam for all to see and, eventually, for all to know, including the generations belonging to his own lineage. Great job, thanks a lot for the quality and historical education. Congratulations @an0nkn0wledge, this post is the forth most rewarded post (based on pending payouts) in the last 12 hours written by a Superuser account holder (accounts that hold between 1 and 10 Mega Vests). The total number of posts by Superuser account holders during this period was 1064 and the total pending payments to posts in this category was $5135.43. To see the full list of highest paid posts across all accounts categories, click here. DOJ is most certainly the Chickenshit Club! I imagine it doesn't make much of a difference as these types of bankruptcy rings operate in all fields. Toy companies are largely making huge losses and becoming irrelevant in the age of Amazon. It's easier to run a bankruptcy ring in a failing industry than one which is doing well. Romney is the grinch? Who knows why toy companies though seriously.. why screw with the kids? Thank you for the informative blog and all my doubts are cleared now. First time I’ve ever heard this about Romney. It’ll be interesting to see where this goes! This is a leak and there are way more to come.